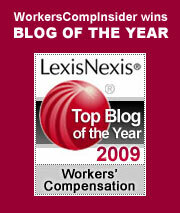 « Undocumented Immigrants In The Workers Comp Bullseye? Pardon us while we self promote for a minute… but many thanks to Steve Schmutz at Claimwire for featuring Tom Lynch in his interview series. For those of you who don’t know Tom and would like to learn a little more about him, you can read the interview here: Industry Spotlight: 20 Questions with Tom Lynch, CEO at Lynch, Ryan & Associates…and when you’ve read that, here is an archive of all Steve’s prior interviews with insurance leaders. They are interesting reading because they dig below the professional surface with some questions designed to reveal what makes these well-known insurance professionals tick – who influenced them, what their career paths have been like, who they admire and other interesting questions that give insight. Thanks, Steve, for including Tom in your series. Since this is blog post with Tom Lynch as a topic, it gives me a podium to add my personal perspective. As someone who has known and worked with and for Tom for more than 20 years, I would add that he is remarkable visionary and has been a key influencer in our industry — as well as on the lives and careers of his many employees over the years. Today. many of the day-to-day employer best practices in managing workers’ comp claims that we take for granted were nurtured in the Lynch Ryan “labs” in the early days of the company. In those bad old days, Tom brought the true entrepreneurial spirit to addressing a broken system. “Changing the paradigm” is a shopworn cliche that rarely plays out beyond press releases, but Lynch Ryan truly shifted the approach by focusing on managing the human event rather than the financial transaction, a change in focus that enabled better and healthier outcomes for worker and employer alike. Tom & team identified many of the flaws and friction points in a malfunctioning system: a system in which most employers had better plans in place to address their copy machine breakdowns than they did for their injured workers; a system that was essentially geared to treating the “bad apple” on the bell curve, but not the preponderance of honest and legitimately injured workers; a system in which employers took a hands-off stance at point-of-injury, a critical management/human juncture; a system in which employers were paying large sums of money for a service it knew little to nothing about. Tom applied common sense management principles and a human-focused approach to fixing these problems saving employers a bundle in the process. Treating people well and fairly was actually more cost effective than treating people suspiciously and punitively — who knew! Tom hired a remarkable team in those early days (if I do say so myself, heh), inspired them with passion and gave them wide latitude to enact their ideas – effecting some out-sized industry-wide practices that continue to this day. I can say that it has been a true privilege to work with Tom. This entry was posted on Wednesday, June 18th, 2014 at 9:46 am	and is filed under Best Practices. You can follow any responses to this entry through the RSS 2.0 feed. You can skip to the end and leave a response. Pinging is currently not allowed.